Fabulous Giveaway: Patches & Bonnets! Debs is feeling super generous and she will be giving away this gorgeous piece to one of you! Winner will be drawn randomly on 31st July 2014 at noon! So what are you waiting for?!?! Get liking and Good Luck!! A fabulous guest: Sara's Super Skin Care Regimen! Throughout these past few weeks I have been busy as a bee working on a project with my choir so obviously blogging went flying out the window! Today's post is extra special since I have a fabulous guest called Sara who reached out to me with an informative post on her skin care regime! Hello lovelies! I’m Sara and I am so excited to tell you about my skincare regimen that took my skin from pimply to near-perfect. But before I start, I want to give a huge thank you to Martina for letting me write this for her! Thanks girl! I used to use a lot of acne products in the hopes of clearing my skin but none would ever work. A pimple would disappear and another one would pop up elsewhere the next day! I used to wash my face with Murad’s Clarifying Cleanser and moisturize with Neutrogena’s Healthy Skin night cream. I always had some minor acne and redness but I was turning 20 at the time so I knew my skin needed a change. There came a point when all I wanted was clear skin. That’s it; not a new car or a cute boyfriend—just clear skin! I realized that I had to start investing in a few higher-quality products, but I vowed to only purchase what was really necessary. 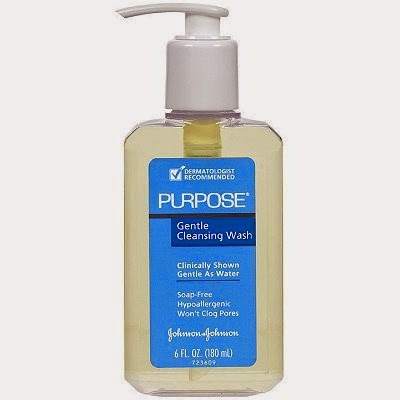 v Purpose’s Gentle Cleansing Wash (which can be found at most drugstores) is “clinically shown to be as gentle as water” and I believe it. I’ve never been irritated by this cleanser and it’s great for day and night. It is so light--it literally feels like nothing is on your face. Cetaphil’s cleanser is just as gentle, but a tad pricier. 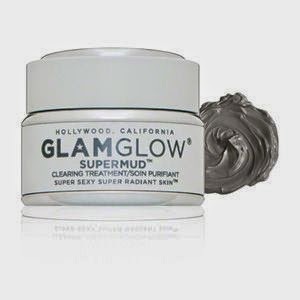 v Another type of exfoliant I use is called GlamGlow SuperMud activated charcoal mask and boy, is this stuff super! Ask anyone in the beauty biz and they’ll give a nod to this stuff for its detoxifying properties. It’s a chemical exfoliant with both Alpha and Beta Hydroxy Acids (AHAs & BHAs) so it leaves your skin really smooth. This mask has a sort of vacuum technology that just draws the goop out of your pores and shrinks your pimples. 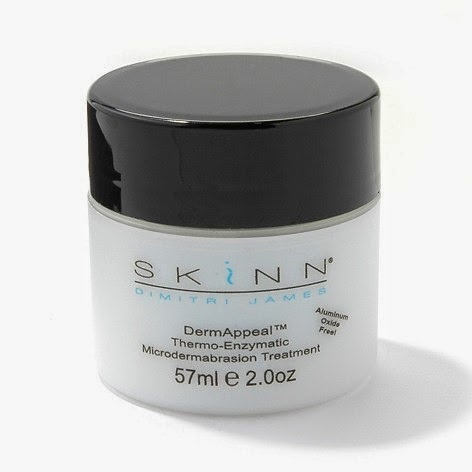 I do a spot treatment with this every couple of days and when I want to do a full mask, I make sure it’s on a day when I’m not using my Skinn microderm. This product is a little on the pricey side but it’s totally worth it. If you’re not ready to splurge, try the Origins Clear Improvement charcoal mask for a little freshening up! v The final step in my skincare regimen is the Purely Nourishing moisturizer from Bare Essentials. This is like a dream to apply. My skin thanks me every night when I slather it on! It has an ActiveSoil complex which means it’s formulated with a good amount of potent antioxidants. 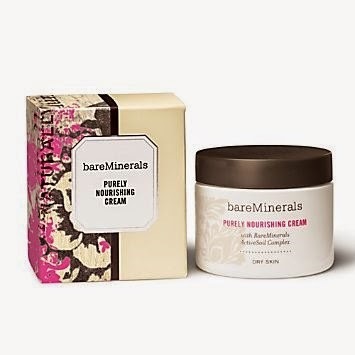 Keeping your skin moisturized is extremely important, so if your skin isn’t as dry as mine, try a lighter cream like the Philosophy Take a Deep Breath. I use this in the summer months so I don’t break out. It’s pretty amazing how 4 products can really make a difference in a girl’s life but it’s true! I went from perpetual pimples and constant redness to just a few blackheads on my nose and pinkness on my cheeks. Gals, it’s all about quality, not quantity, so if you’re unsatisfied with your skin do something about it and invest in a few products! Don’t get frustrated when you buy something and it doesn’t do wonders for you—to find the perfect skincare regimen for you, you’re going to have to do a little trial and error. The most important thing is to have fun with it! !